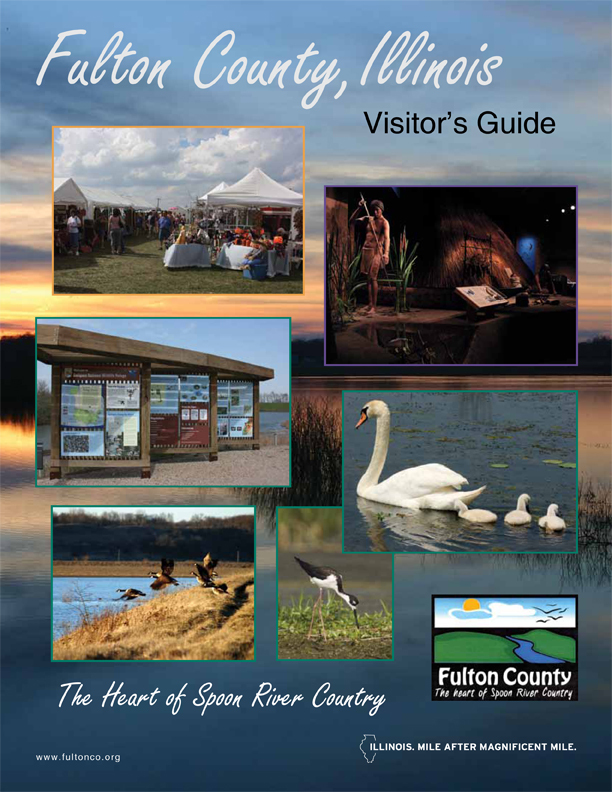 download the Fulton County Visitors Guide. Reminders of a prosperous past can be seen in the grandeur and variety of architectural styles preserved int he remaining historic homes scattered around the county. Concentrations of these are found in several communities including Astoria, Avon, Canton, Lewistown, and Vermont. Especially interesting is a group of 15 privately owned homes in Vermont that are listed on the National Register of Historic Places. Canton also has a significant number of historic homes, mostly located in the west side of town and along 1st Avenue. Particularly impressive is a home know as “Redcrest” (the U.G. Orendorff Mansion) located at 345 Elm Street. These are glimpses of a gilded age when business was good and residents prospered.